Joy Fleming died unexpectedly on Wednesday evening, 27 september 2017, at the age of 72. 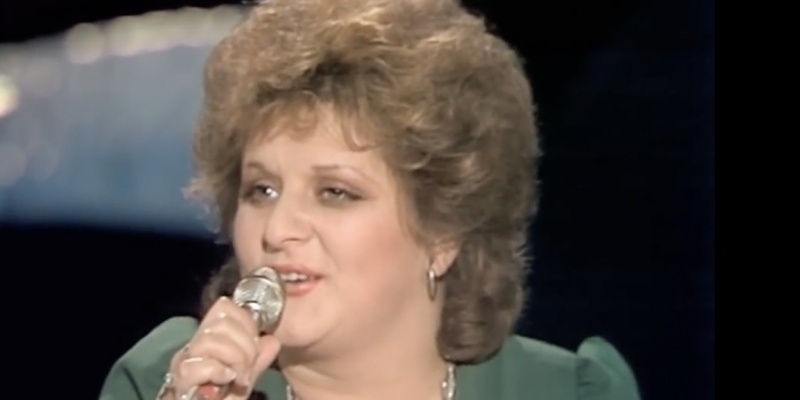 Joy Fleming represented Germany in Eurovision Song Contest 1975 with "Ein Lied kann eine Brücke sein". Fleming became a firm fan favourite despite only finishing 17th in the contest. Joy Fleming was born as Erna Raad in 1944 and grew up in Mannheim, Germany. She fascinated her audience with her three-octave voice everywhere she came, from Argentina, Japan and China, through the former Soviet Union and Africa. Her song "Ein Lied kann eine Brücke sein" is regarded as the German Eurovision Anthem. A newspaper from Saarbrücken described her as "one of the best voices of Germany". Fleming's participation at Eurovision 1975 in Stockholm with "Ein Lied kann eine Brücke sein" was not quite successful, as it finished 17th. She made a further try for Eurovision in the German national selection in 1986 with the song "Miteinander" together with Marc Berry (as Fleming und Berry). Here she finished 4th. 15 years later in 2001 Fleming again tried to win the German selection with the song "Power of Trust" together with Lesley Bogaert and Brigitte Oelke (as Lesley, Joy und Brigitte), but was placed 2nd. Joy made another attempt in 2002 and finished as runner-up again, this time performing "Joy to the World" with the group Jambalaya. The Eurovisionworld team expresses our sincere condolences to her family, friends and fans.